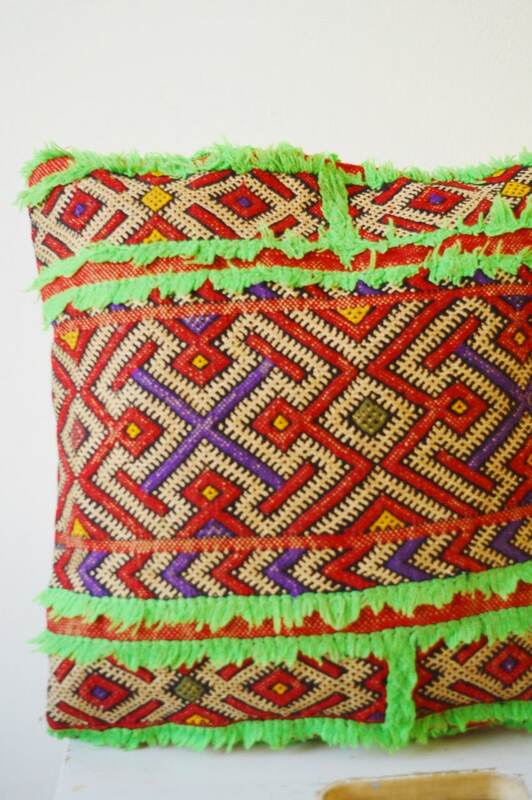 Vintage Moroccan Berber kilim cushion, pillow, from the Mountains of Atlas, Morocco. 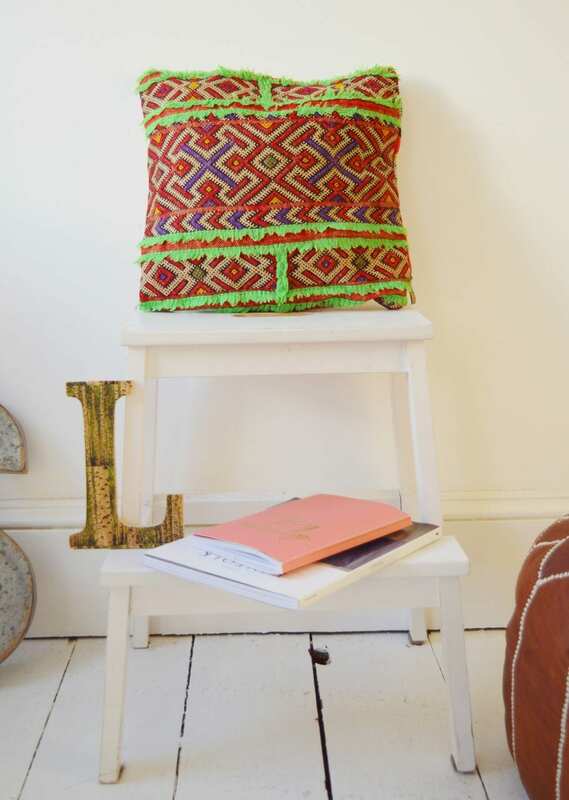 Originally handwoven by Berber women for their own homes, This is a lovely piece of art cushion that could highlight your home to another level. Due to the complex woving, and vivid colours, these cushions will look beautiful even in the most simple settings. All it needs is a white room, and instantly will magic the room into an exotic trendy décor home. Each piece is one of a kind, and cannot be recreated. All Vintage products have been carefully handpicked by Maison Marrakech from the workshop Souks in Marrakech. :: Size:: Length 20" x W 20" in (40 x 40cm). :: Shipping: Dispatches within 3-5 working days. We offer express shipping from the UK as well. 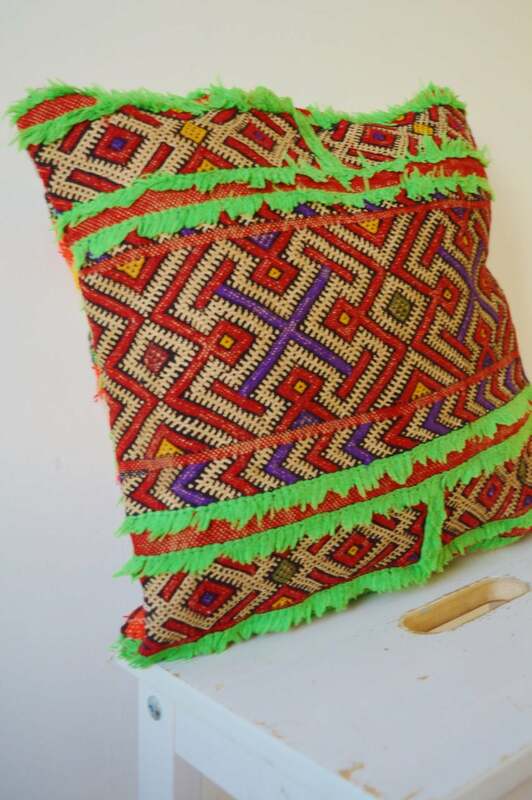 Decorate your home this season with a special one of a kind bohemian cushion, there's only one in the whole world just for you.